The Tenth International Symposium on Tools and Methods of Competitive Engineering (TMCE 2014) took take place in Budapest, Hungary, from 19 to 23 May, 2014. This Symposium is jointly organized by the Budapest University of Technology and Economics and the Delft University of Technology, the Netherlands. 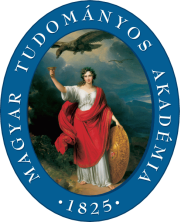 The series of the TMCE Symposia was launched in Budapest, and the next, tenth jubilee event will be held again in this beautiful city. TMCE 2014 offered a traditionally high standard professional program, as well as several entertaining social and cultural events. The focus of the professional program is on Sustainability and cyber-physical systems. Participants from government, academia and industry all over the world shared their experiences and exchange views, knowledge and cultural values. You are cordially invited to contribute industrial tutorials, scientific podium and forum session papers. Students are also encouraged and will be supported with special discounts on their registration fees. A digital Proceedings will be published and selected papers will be considered for republishing in special issues of various international journals. Inhabited by more than 2,000,000 inhabitants, Budapest is one of the most beautiful capitals of the world. on the banks of the Danube River. As a political, cultural, commercial, industrial and transportation centre of Hungary, Budapest in not only an attractive tourist destination, but also a popular venue of conferences and exhibitions. Only peer reviewed papers with sufficiently high and novel scientific contribution and presentation quality will be considered for publication and presentation, respectively. The form of presentation will be decided upon by the Program Committee. If a paper is not presented on-site at the TMCE 2014 Symposium, it will be published neither in the digital Proceedings nor in the printed Proceedings. Such a paper will also be not considered for republication in special or regular issues of international subscription-based or open access journals, and may not be cited as a published paper, even if the Copyright Transfer Form has been sent to the Program Committee. As a bottom line, at least one of the authors, or other presenter, should have a full registration for each paper. No exceptions will be considered in case of multiple submissions, or in case of a shared submission. Should (potential) authors have any additional questions, they are advised to refer to the Publication Policy Document of TMCE 2014, or contact the Program Committee at info@tmce.org.